Our clinic was run by our 14 Varsity Softball Players, with supervision from our coaching staff (5 of us). 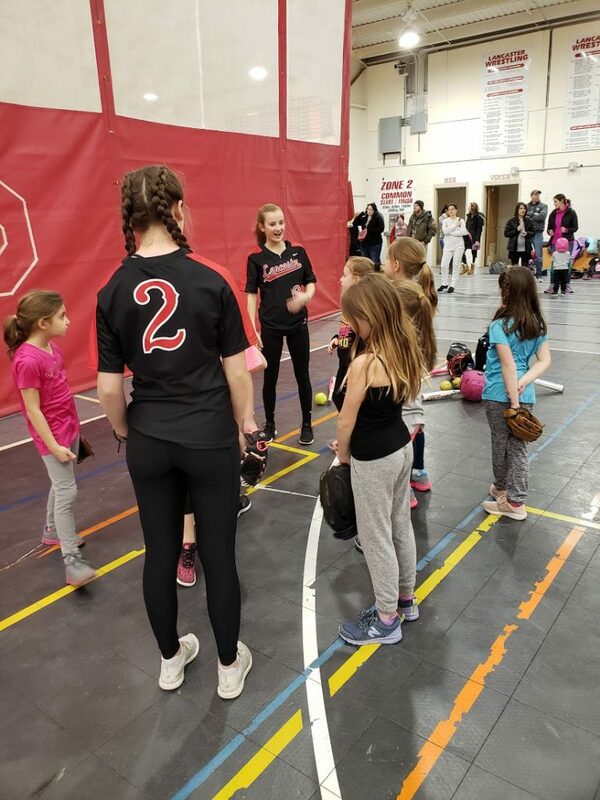 The players really make the clinic run and many of them used to attend the clinic when they were little girls, as this is our 13th Annual Free Kids Clinic. This year we had 145 girls from Grades K-8 attend (87 grades K-3, 58 grades 4-8). 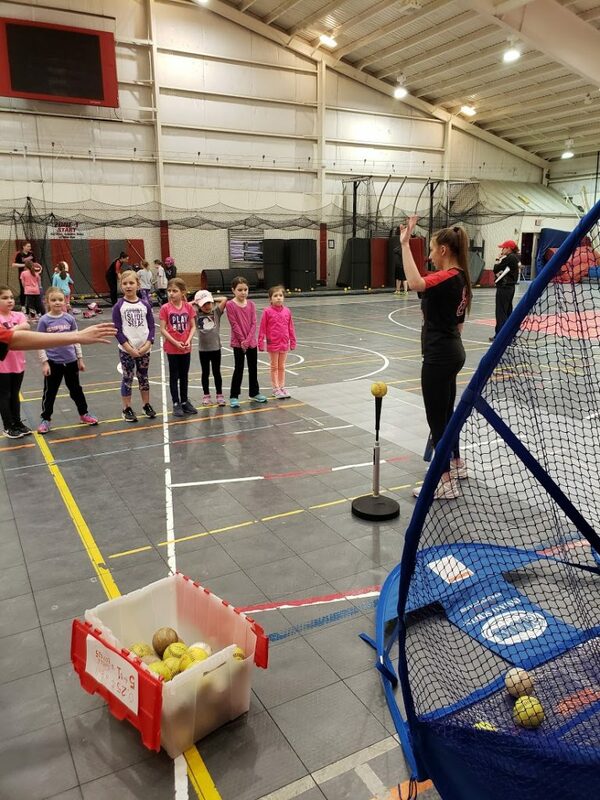 Our clinic is split into two sessions: K-3rd graders from 12:30-2:30, and grades 4-8 from 3-5. With set-up and clean-up our Varsity girls put in about 5.5 hours of work. The clinic is advertised through local youth leagues as well as all of our district elementary and middle schools. It is very important to us to keep this clinic free of charge in order to make our sport available for all girls. In 13 years we have never turned anyone away. The clinic begins by splitting the girls into groups by grade level, with each group led by a Varsity player. 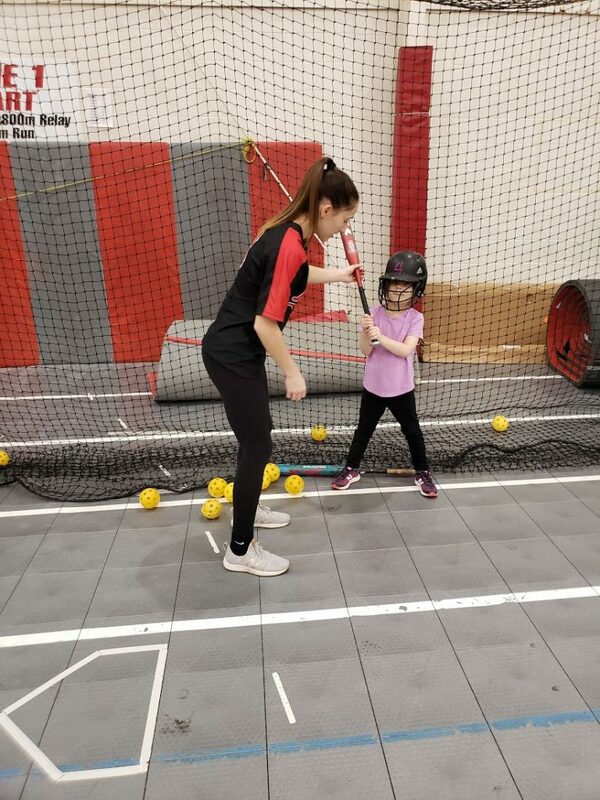 After we teach the girls to jog and stretch, players rotate through the following stations, each leed by a different Varsity player: Baserunning, Diving, Infield, Outfield, Throwing, Bunting, Pitching, Tee, and Softtoss/Offense. 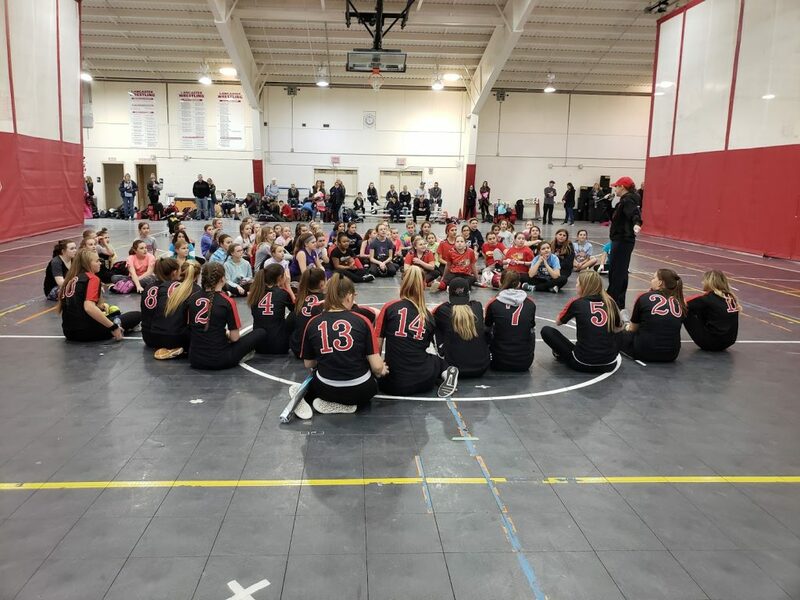 At the conclusion of this rotation, players have a “chalk talk” session with the Varsity Coach (me) which highlights the importance of school, academics, character, and citizenship, as well as the importance of practice. The clinic then ends with an autograph session where the girls can get autographs from the Varsity players. This clinic is part of several Community Service initiatives that are done by our team. We also run a Free Coaches Clinic for youth softball coaches in our area. This year approximately 50 coaches attended. I run this clinic with the help of 3 players and run through a series of fundamentals, drills, and strategy for both new and experienced coaches. This coaching clinic, titled “Creating Legends” (a play off our school’s nickname) lasts 1.5 hours and is held annually. We also hold a “Strikeout Cancer” Game annually. Generally held in May, this game is held against a different opponent each year and features a ceremonial first pitch by a teacher or parent battling cancer (or cancer survivor), a DJ, raffles of items donated by the Buffalo Bills and/or Sabres, special uniforms, and pink softballs. Additionally, the team organizes a “dress-down day” for Lancaster teachers leading up to the event to fundraise additional money. This game is held in memory of former Lancaster Softball player Emily Goldyn-Harzewski who passed away from breast cancer in her 20s. Fortunately, Emily lived long enough to throw out the first pitch in this game once. Over the years, we have raised over $5000 for local cancer charities and the Harzewski family.